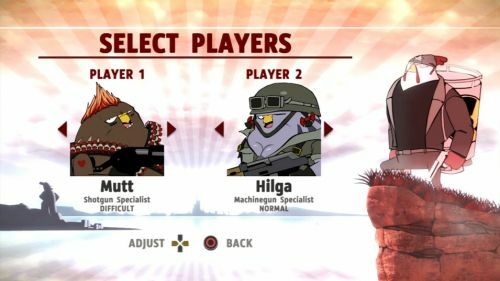 Almost a year after its PlayStation Network release, Rocketbirds: Hardboiled Chicken is coming to PC. This little side-scrolling shooter features a single player story mode wrought with evil birds, bizarre flashbacks, soaring jetpacks, and blazing guns. It also includes a separate co-op campaign that supports two local players. It's simple and fun, and the two player co-op adds some interesting elements to the platforming. You can read more about it in our Co-Op Review. The PC version will be available on Steam on October 15. You can pre-order now from GamersGate, Rain Digital Games and GameStop. If you pre-order the game you'll receive four songs from the OST (which is rather funky) and an extra co-op character who wields a Photon Blaster. 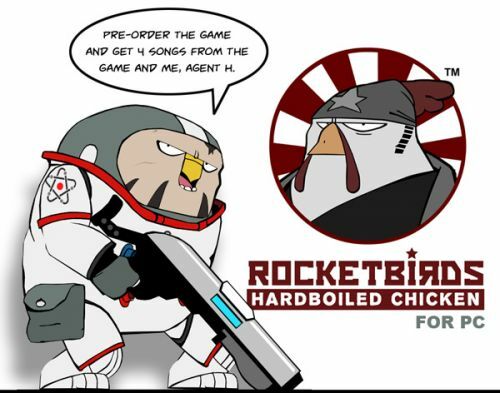 Rocketbirds: Hardboiled Chicken is priced at around $10.